Join us for a brief presentation and following discussion about Muslim "Garb." We will discuss topics related to Muslim dress and the connections between culture and religion. 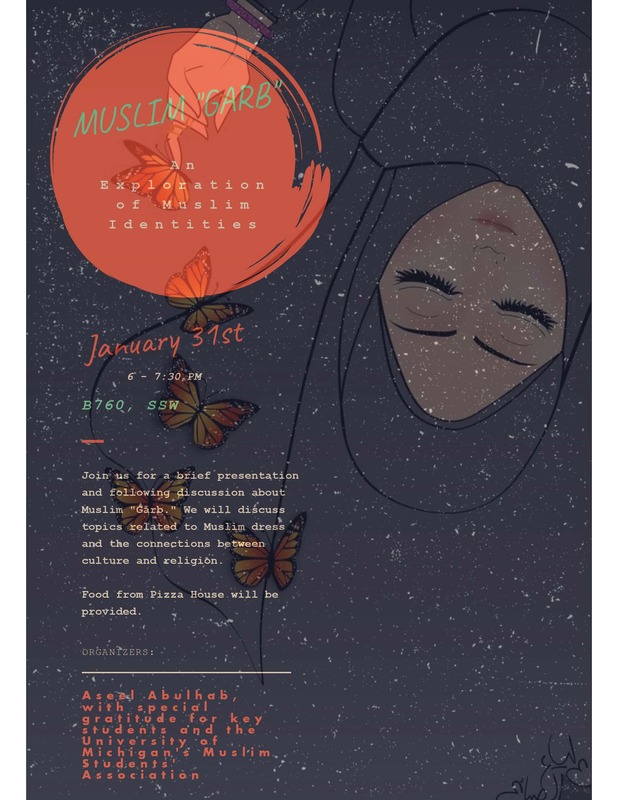 This event is organized by Aseel Abulhab, with special gratitude for key students and the University of Michigan's Muslim Students' Association. ***** Food from Pizza House will be provided.